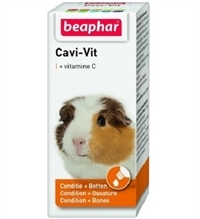 Nutritional supplement with vitamin C for guinea pigs, where diet is insufficient in vitamin C.
Cavi-Vit is specially formulated for guinea pigs. 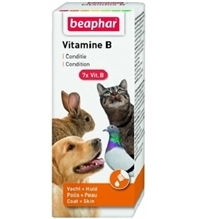 It has a high content of vitamin C because guinea pigs cannot produce sufficient vitamin C themselves. 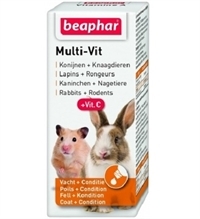 The coat retains its gloss and elasticity and the skin stays smooth.